WAFT is an interdisciplinary collaboration between researchers in architecture, computation, and ceramics. The project integrates traditional slump molding techniques and handmade glazes with computationally designed and 3D printed ceramic tiles and CNC milled molds. 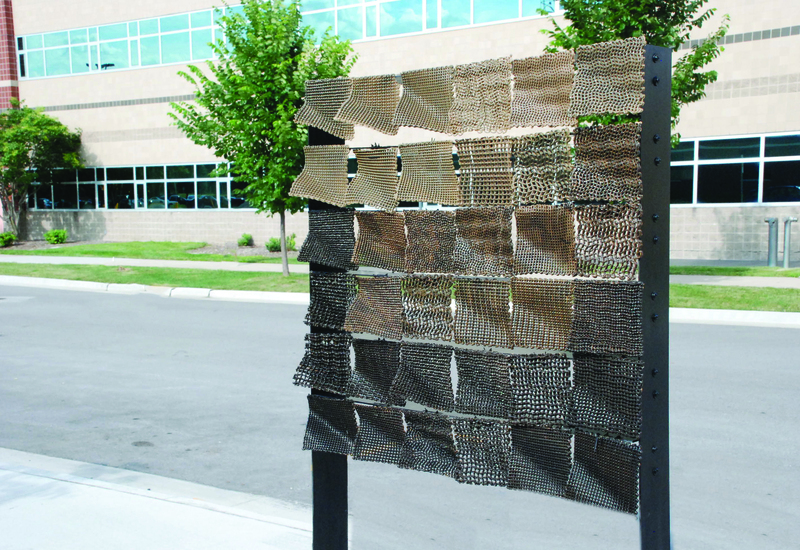 WAFT is the result of an ongoing partnership at the Iowa State University (ISU) Computation + Construction Lab (CCL) between the departments of Architecture and Arts & Visual Culture at ISU’s College of Design. The project relies upon digitally assisted fabrication: the combination of manual and digital fabrication practices. WAFT leverages both ceramic knowledge and digital fabrication capabilities to create designs that neither discipline could produce in isolation. 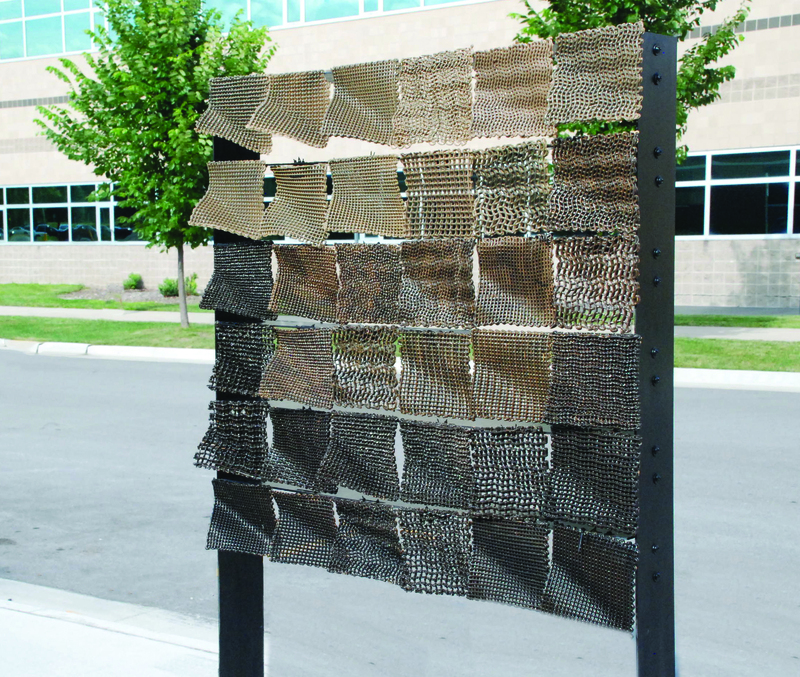 This research began with a close examination of the innovative techniques and evocative aesthetics presented in Clay Non-Wovens: Robotic Fabrication and Digital Ceramics, specifically, the notion of clay as a “structural fiber rather than a tool for solid construction.” (Rosenwasser, Mantell, & Sabin, 2017) WAFT then deviates from Clay Non-Wovens by exploring the possibilities of three-axis ceramic printing combined with slump molding, a less cost prohibitive method than robotic fabrication. 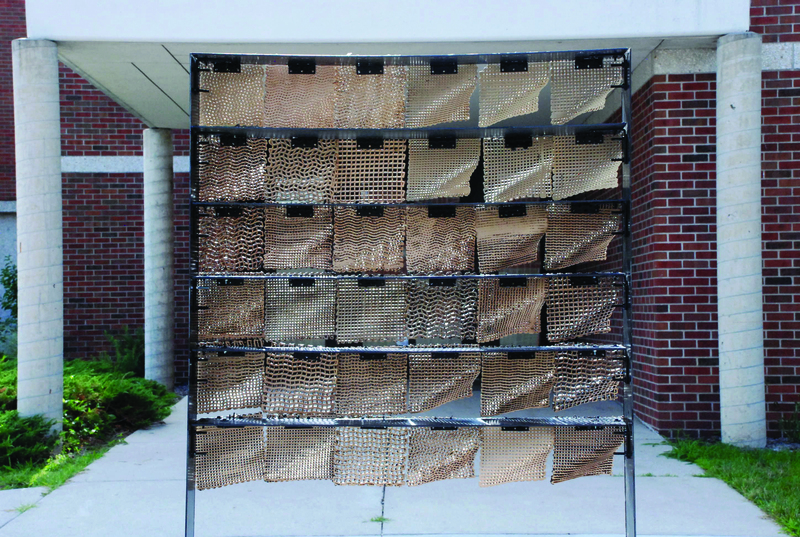 The goal was to build upon lessons learned to create a low-cost method for interdisciplinary experiments in architectural ceramics. This process included the integration of ceramic knowledge: such as clay bodies, custom glazes, and slump casting with parametric design: such as controlling the porosity, depth, and surface curvature of each tile. The design and production of a full-scale mock-up concluded this phase of research. 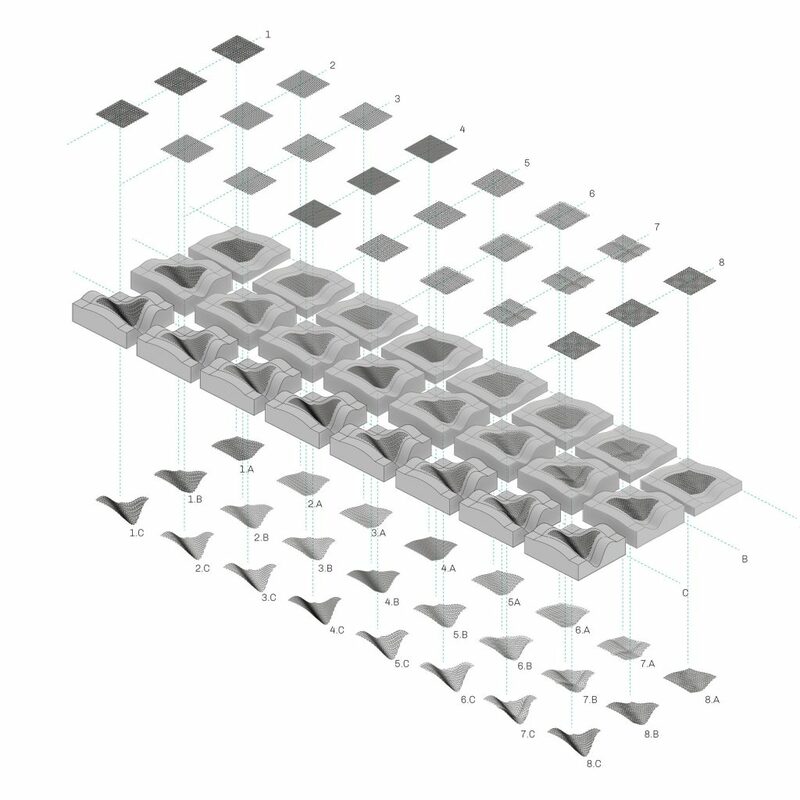 Each tile g-code is printed three times and then slumped over each of the three molds (A, B, C) resulting in a variation of opening density through variation in the surface curvature. Layers were printed in pairs of 2, 4, or 6 creating a weave where the structure of the tile is strengthened through the overlap of the clay between layers. 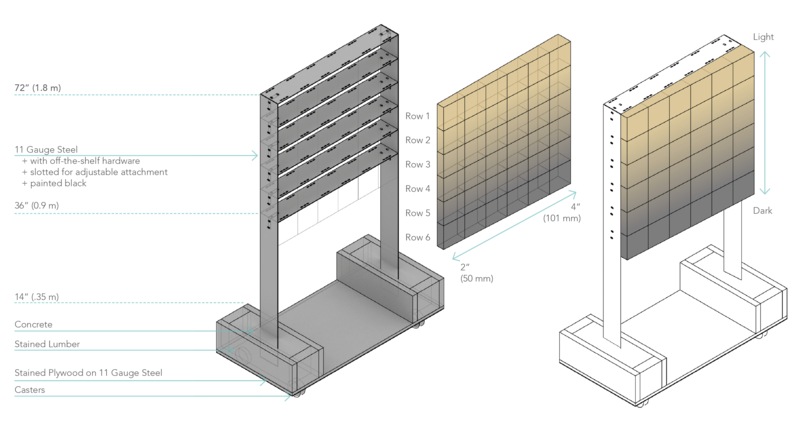 Diagram, A full-scale substructure was constructed using Plasma CNC cut steel and off-the-shelf hardware to allow for testing tile assemblies and the development of attachment details. The tiles were hung from lightest to darkest glazing and from smallest curvature to greatest curvature. Hardware was attached to the fired tiles using apoxie clay. From the non-glazed (interior) a variety of light conditions and views are created.